Nothing excites diehard soap fans quite like the thought of former favorites being brought back and given screen time. In recent weeks word has been spreading amongst General Hospital fans about the potential return of members of the Cassadine family. I’m not talking about distant branches either but core family members that are – at least for right now – presumed to be a little bit dead. Not that death is ever really permanent in soaps. It’s just away of letting viewers know that a character will be off the canvas for serious time. 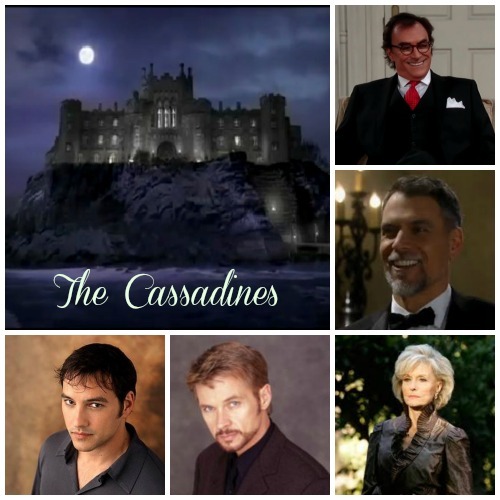 According to the Match 17th print edition of ABC Soaps both Helena and Stavros Cassadine are two of the names being circulated and Constance Towers, the legendary actress who portrayed Helena for years said that she has heard that the villains could be “defrosted” sometime soon. Stavros, played by Robert Kelker-Kelly has been in and out of GH’s revolving door several times since 2001 and when an ABC spokesperson was asked about the rumors she only teased by saying that the network wants the fans to be surprised by what is in the works. GH is also trying to get Stephen Nichols to return as Stefan Cassadine, according to Tyler Christopher who plays Nikolas Cassadine. He says that the rumors have him hoping that his TV family is headed back to Port Charles this year. Obviously with all of these big names circulating GH has something big at least in the planning stages. Do you hope that Helena, Stefan and Stavros return to wreck a bit more havoc on Port Charles? Tell us your thoughts in the comments below!